The above info came from atomofish, and was edited by yours truly (contact me). The image came from listentheworld. Based on NAMCO's classic arcade game series, Aegis of Uruk takes place 60 years after the demon-infested Tower of Druaga was single-handedly destroyed by King Gilgamesh. Now the tower has mysteriously reappeared. However, every few years, an event known as the "Summer of Anu" weakens the power of the monsters residing in the tower. 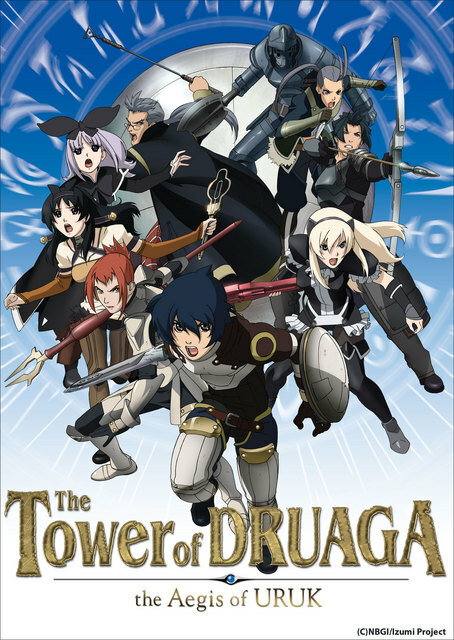 The nearby kingdom of Uruk seeks to secure and ultimately conquer the Tower of Druaga. Now the third Summer of Anu has arrived and multiple factions seek to conquer the tower for various reasons (whether it be power, glory, or treasure). The story focuses on one warrior named Gil and his allies, all of whom are seeking the mysterious and powerful artifact known as the Blue Crystal Rod, which is said to be found on one of the highest floors of the tower.